Star Wars news has been plenty over the past year, with announcements about the latest live-action trilogy directed by J.J. Abrams and the new 3D-animated TV series, Star Wars Rebels, releasing later this year. 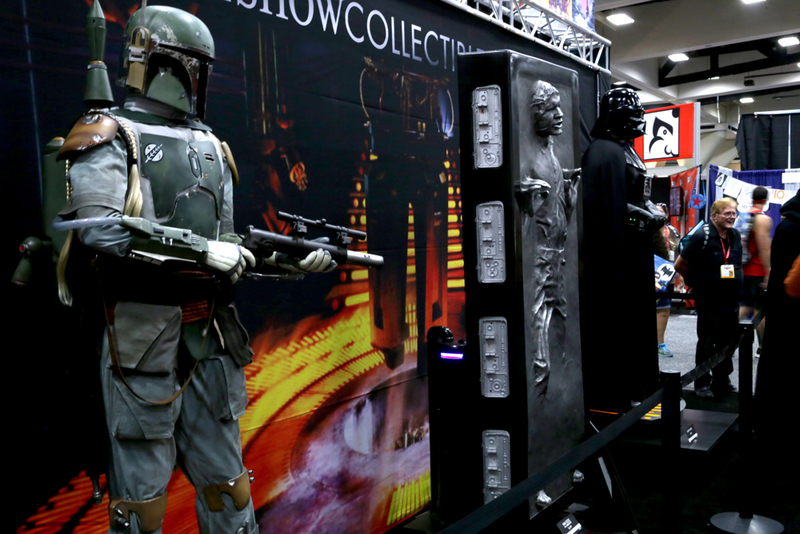 In order to please eager fans, there was a number of Star Wars-related announcements, exclusives, screenings, and more at this year’s San Diego Comic-Con. 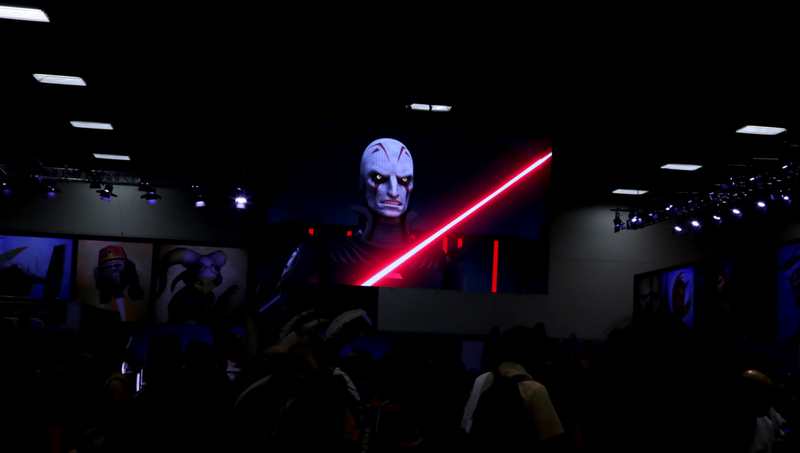 One of the biggest Star Wars showings at SDCC this year was the exclusive screening of the first hour-long episode of Star Wars Rebels. The episode, which will air on the Disney Channel this fall, follows the tale of insurgents and their fight against the Galactic Empire, and was accompanied at the SDCC screening by a panel hosted by the executive producers and stars of the show. Also announced at SDCC is a trio of brand-new comics from Marvel, based on the original Star Wars trilogy! The first comic, simply titled Star Wars, will retell the battle between Luke, Leia, and Han against Darth Vader after the events of Episode IV. The second comic, Star Wars: Darth Vader, will shift perspectives to Vader himself as he attempts to regain control of his forces after his loss in Episode IV. Finally, a five-issue miniseries titled Star Wars: Princess Leia, will focus on the princess and her ordeals throughout the trilogy. These comics are set to begin releasing in January 2015, and will continue throughout the year. Hot Wheels also partnered up with Star Wars this year to reveal their new line of vehicles and play sets based on the iconic franchise. 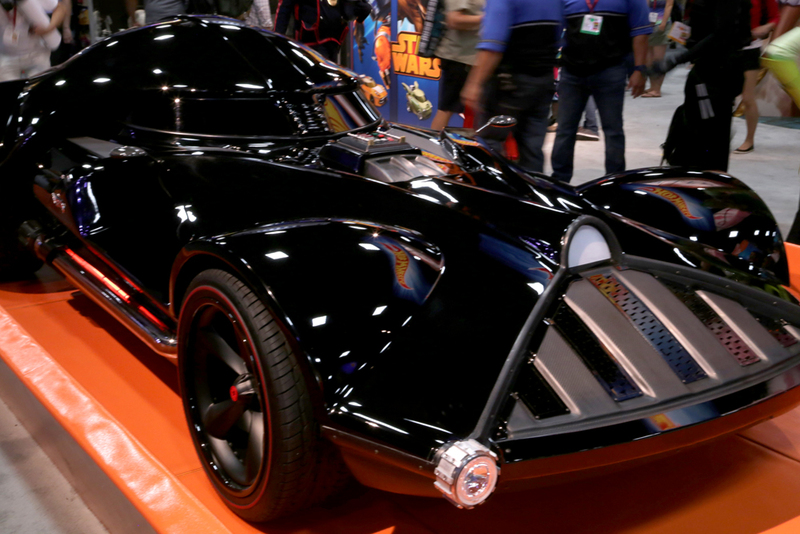 In order to celebrate the occasion, Hot Wheels even commissioned a life-size, fully operational version of their first vehicle in the series, the Darth Vader Car, which was on display at the event. 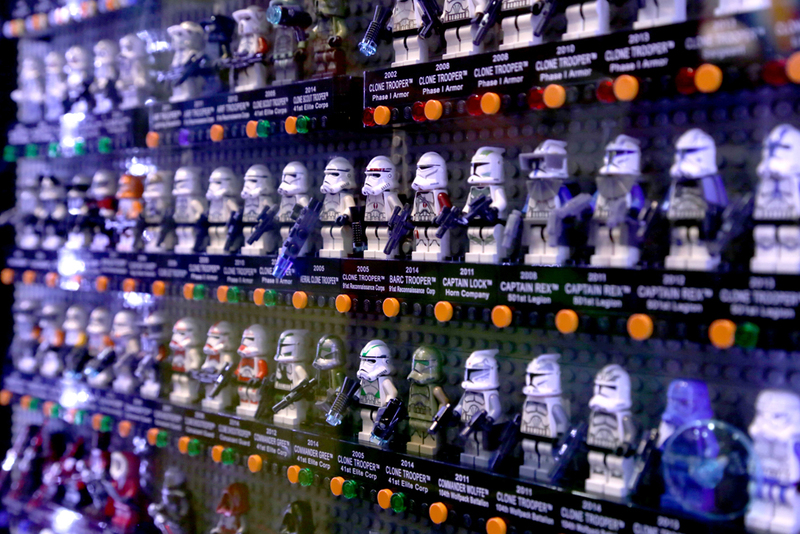 Other small-scale Hot Wheels vehicles shown off at the event include Chewbacca, R2D2, Luke, Yoda, and a Clone Trooper. Hasbro’s popular Star Wars Black Series 6″ figures also saw a number of exciting announcements at SDCC. 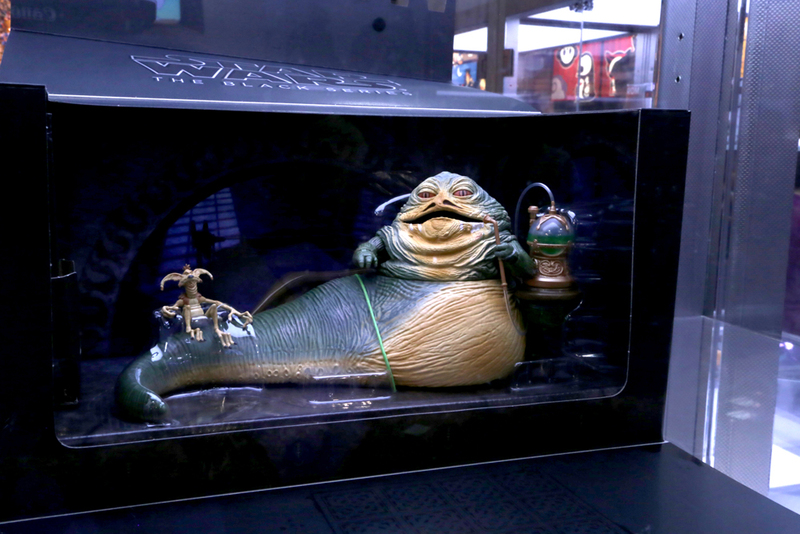 Alongside the appearance of the SDCC-exclusive Jabba the Hutt figure in the Black Series, five brand-new releases in the Black Series were announced and shown at the event: Deluxe Han & Tauntaun set, Luke and Wampa set, TIE Pilot, Han Solo Storm Trooper, and Bounty Hunter Bossk! All of these figures will continue the Black Series trend of releasing screen-accurate renditions of favorite Star Wars characters, with a high amount of articulation and detail. 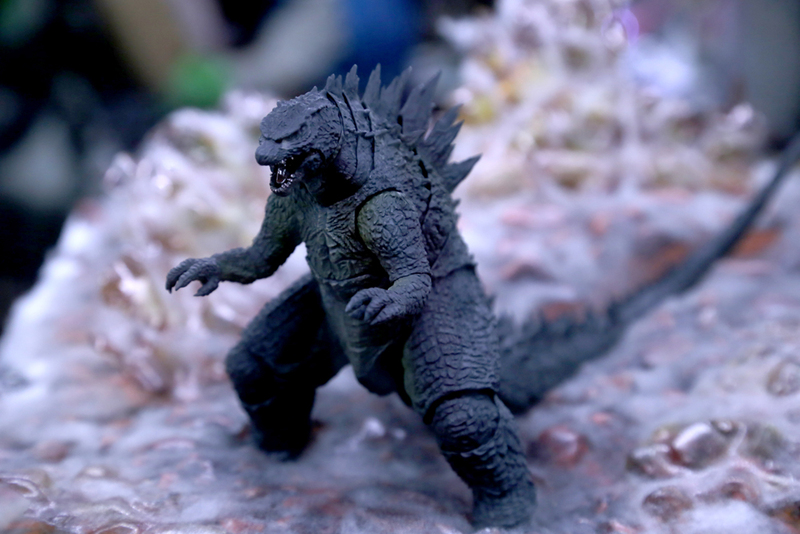 Sideshow Collectibles also had a number of new and upcoming releases at their booth, in a wide variety of scales and sizes. 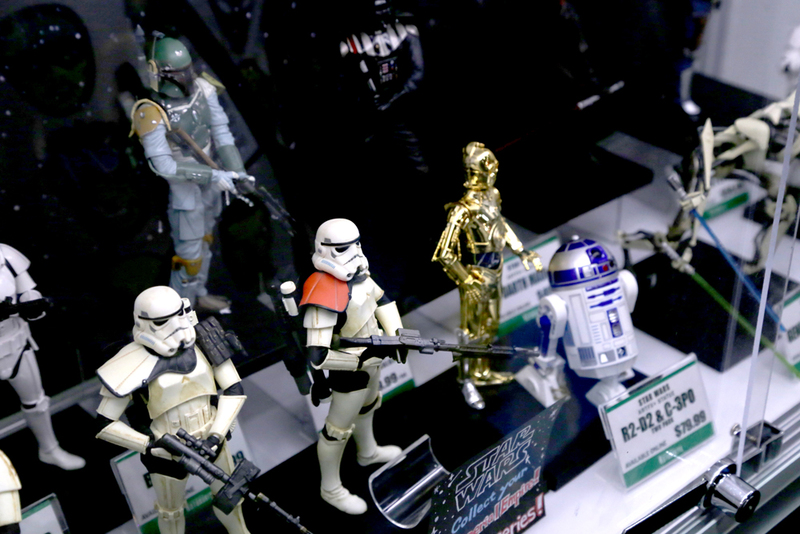 Ranging from classics like R2-D2 and the Scout Trooper with his Speeder Bike, there were a few surprises such as the new 1:5 scale statues based on the original Star Wars concept art by artist Ralph McQuarrie. There were even life-size statues at the event, showing off characters like Darth Vader, Yoda, Boba Fett, and Han Solo in carbonite! With so many exciting releases to come for Star Wars, from movies and comics to collectibles, it’s a great time to be a Star Wars fan! It’s been 35 years since Ridley Scott’s iconic sci-fi horror film, Alien released in theaters in 1979, shocking audiences worldwide with its stunning special effects and monster design. 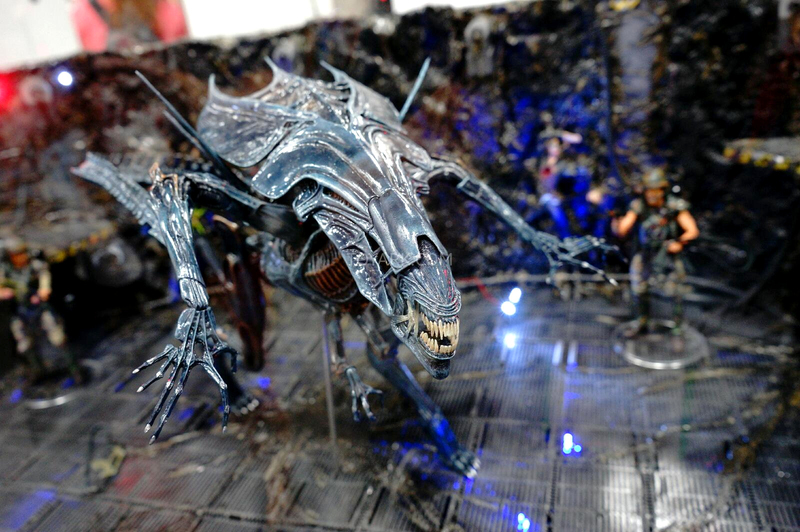 In order to celebrate the momentous occasion, the Alien franchise had a huge showing at this year’s San Diego Comic Con, showing off new and upcoming figures as well as other exclusive Alien exhibits. 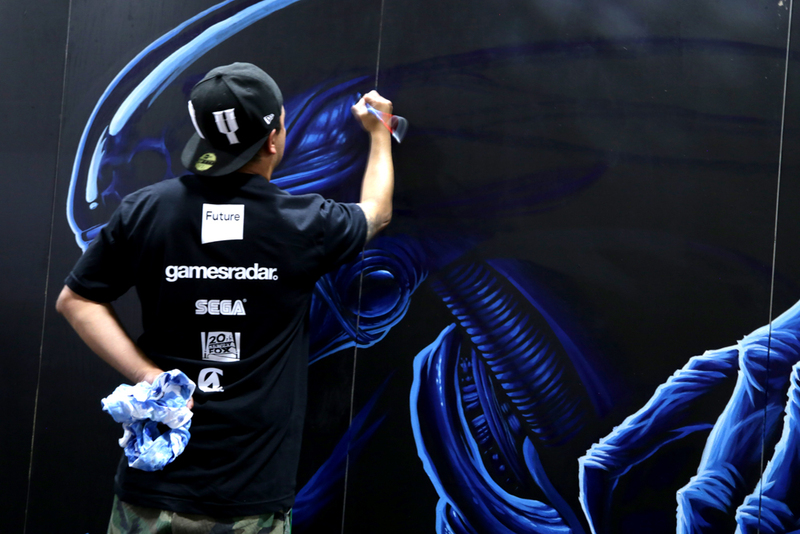 One of the most prominent Alien displays at SDCC was the Alien: Isolation booth, allowing visitors to check out the newest upcoming video game based on the hit franchise. 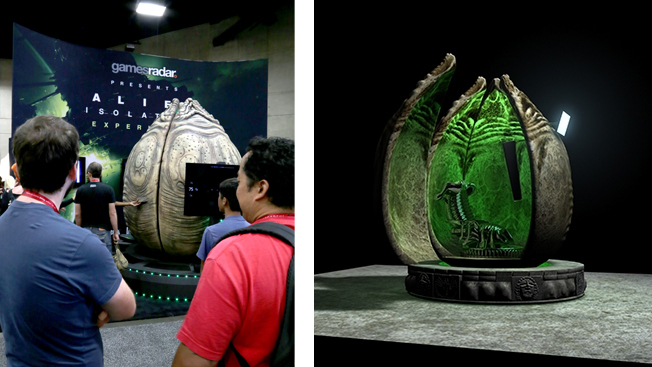 Focusing on stealth and the feeling of being hunted by the signature xenomorph alien, the booth features a recreation of a massive alien egg pod that players entered in order to try out the demo in solitude. 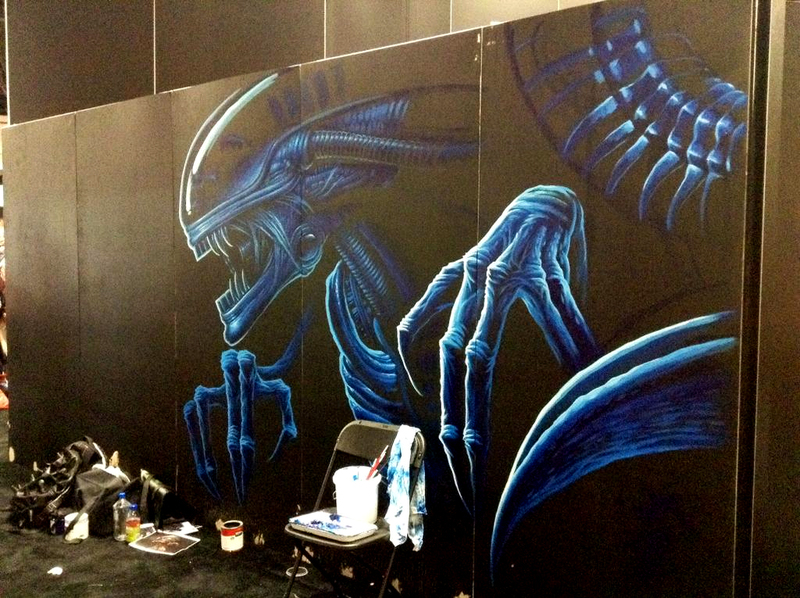 The exhibit even featured a hand-painted mural of the xenomorph, created by artist Maxx242! Alien: Isolation releases on PC, Playstation 3 and 4, and Xbox One and 360 on October 7th. 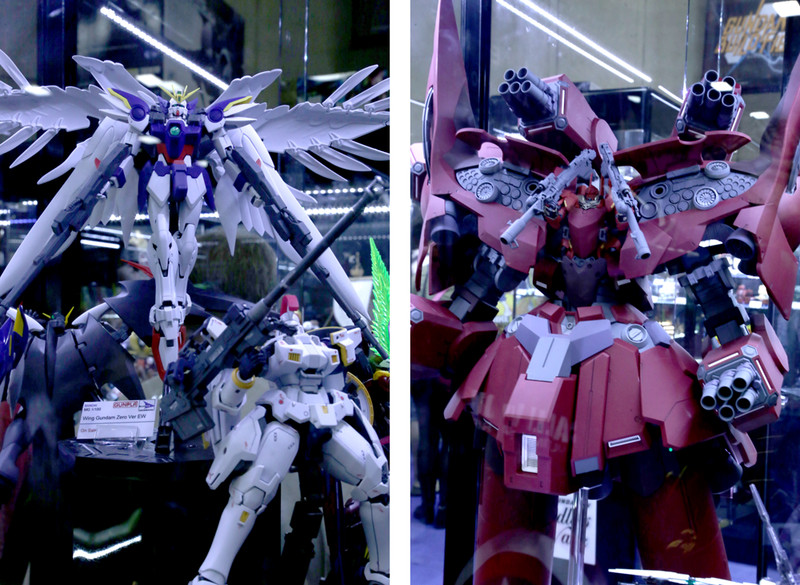 A number of exclusive and upcoming Alien toys were also shown off at the event, featuring characters and designs from a number of beloved movies. 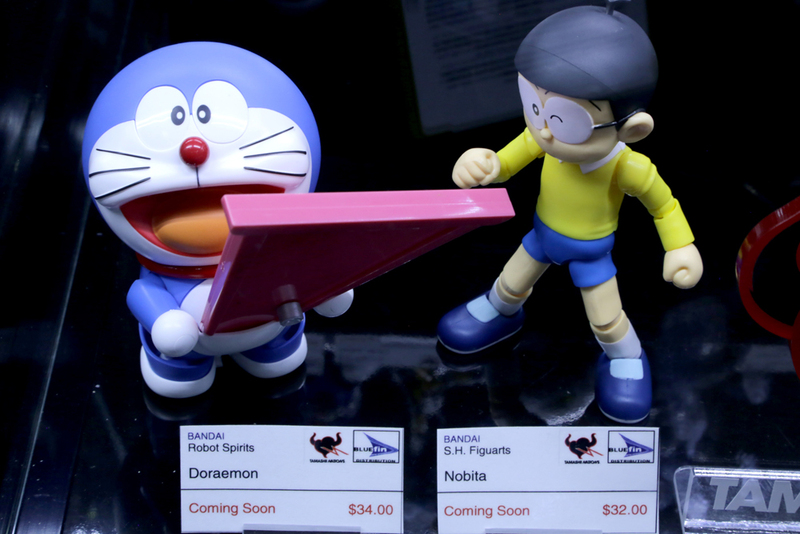 Super7 helped celebrate the anniversary in a big way by releasing a number of Alien exclusives at the event. These include the 4.5″ vinyl Alien figure, which features clear dome as well as retro Kenner-style Alien packaging, as well as the new Deep Space Mystery Alien Egg blind box, which included a limited edition Alien ReAction Figure inside. 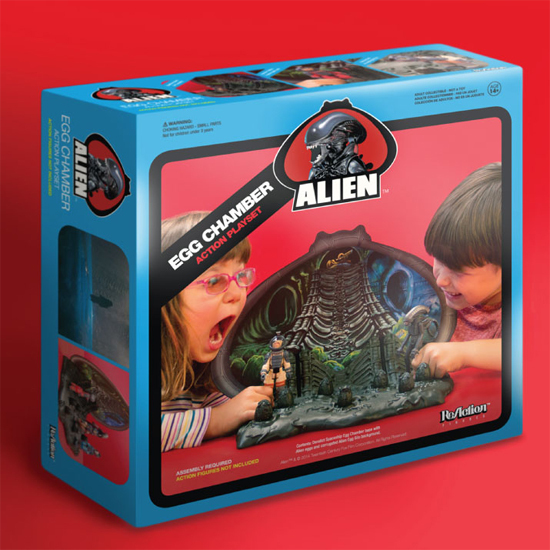 The most anticipated release, though, was the Alien Egg Chamber play set created in collaboration with Funko. This play set, marketed in classic retro packaging and details, recreates the classic scene from the movie, and includes a detailed backdrop and display stand for all of Funko’s Alien ReAction figures. 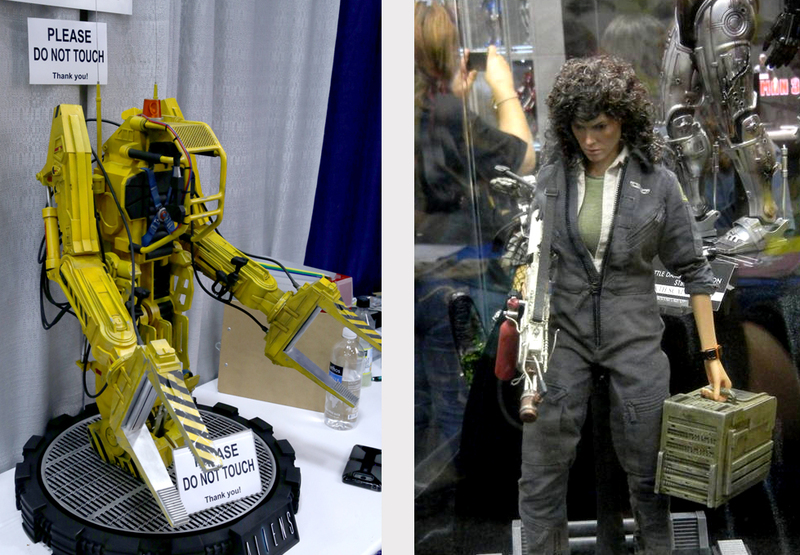 Some of the most popular upcoming releases were shown off by NECA and Hot Toys, both of which showed off brand-new figures and statues of Alien protagonist Ellen Ripley. Featuring both her design from the original Alien movie as well as the sequel, Aliens, these new Ripley figures will be the first ever to feature an accurate depiction of her movie likeness, played by Sigourney Weaver. Hot Toys even showed off a to-scale figure of the infamous Power Loader from Aliens to go alongside this exciting release! Not one to be outdone, NECA showed off its brand-new upcoming Alien Queen figure to fans for the first time at SDCC. The figure, which will be one of the largest Alien figures ever released, stands at 15″ tall and over 30″ long, and will feature over 30 points of articulation throughout its body, including movable jaw, arms, an even an entirely articulated tail. This figure is set to release in October, and preorders are currently open for this giant collectible. With lots to celebrate and lots to talk about at this year’s SDCC, stay tuned for more news and pictures from the event! 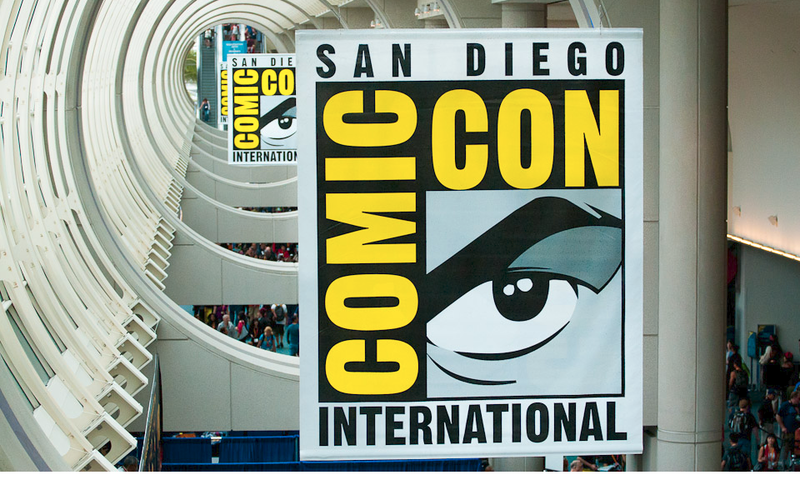 This year’s SDCC coming to a close on June 27th this past Sunday, showing off some of the most exciting news and featuring some amazing attractions and exhibits for visiting fans to take part in. Not one to slouch, especially on her 40th anniversary, Hello Kitty brought a number of unprecedented exclusive events to the convention, making it a weekend to remember for Sanrio fans everywhere! 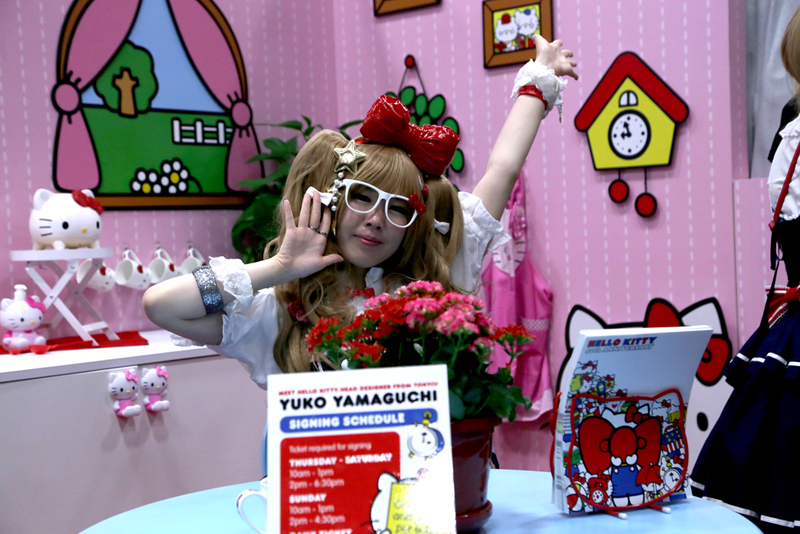 The biggest headline for Hello Kitty this year was the exclusive signing event at Sanrio’s Booth #4539 on the show floor, where fans could come face-to-face with Yuko Yamaguchi, the original Hello Kitty creator and head designer at Sanrio! Flying in all the way from Tokyo, Yuko was on the show floor for the entire weekend, greeting fans, taking photos, and signing limited edition art posters available at the booth. 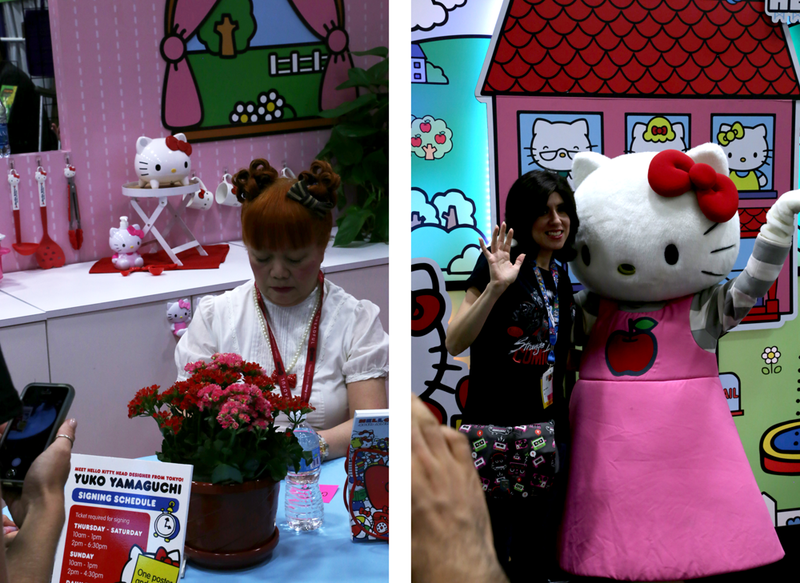 This was definitely a once-in-a-lifetime chance for Hello Kitty fans to meet the creator in person! 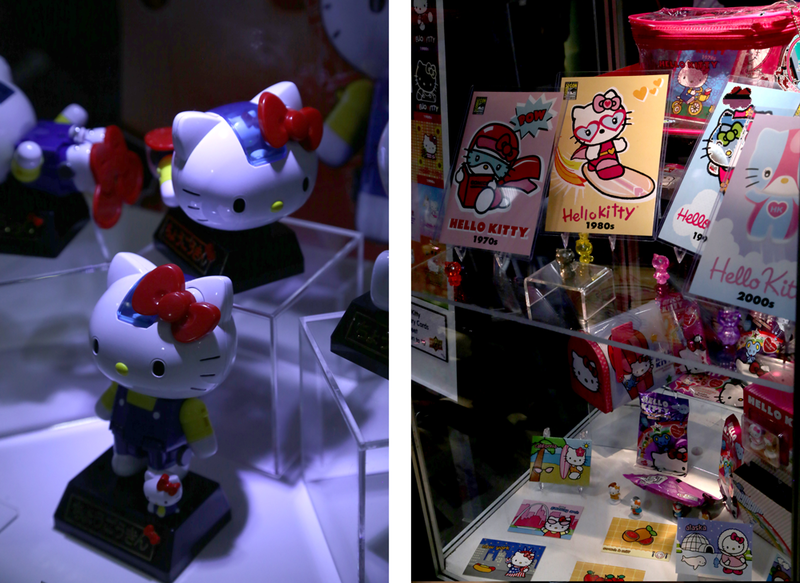 Other popular Hello Kitty items at the event were Tamashii Nation’s display case of the recently released 40th Anniversary Hello Kitty Chogokin figure, as well as the brand new SDCC-exclusive Hello Kitty 40th Anniversary minifigures and trading cards by Upper Deck. 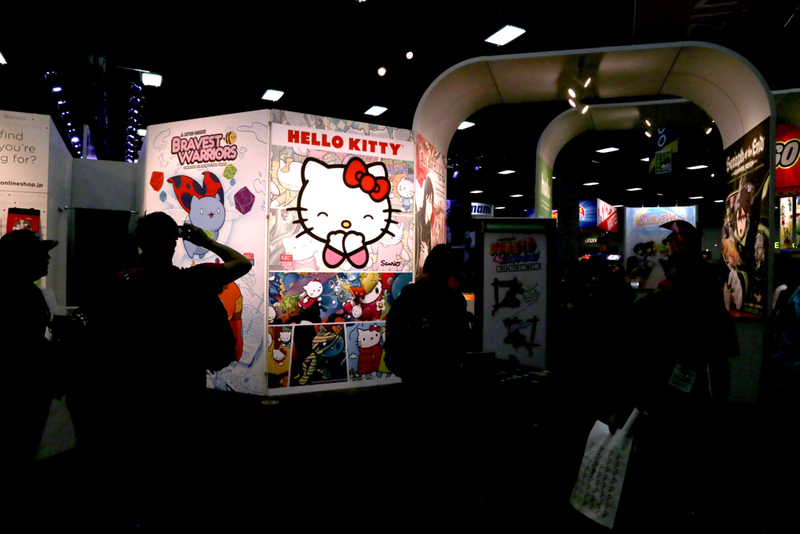 These exclusives, along with a number of other Hello Kitty collectibles and props, were available throughout the show floor to help celebrate Hello Kitty’s landmark anniversary. 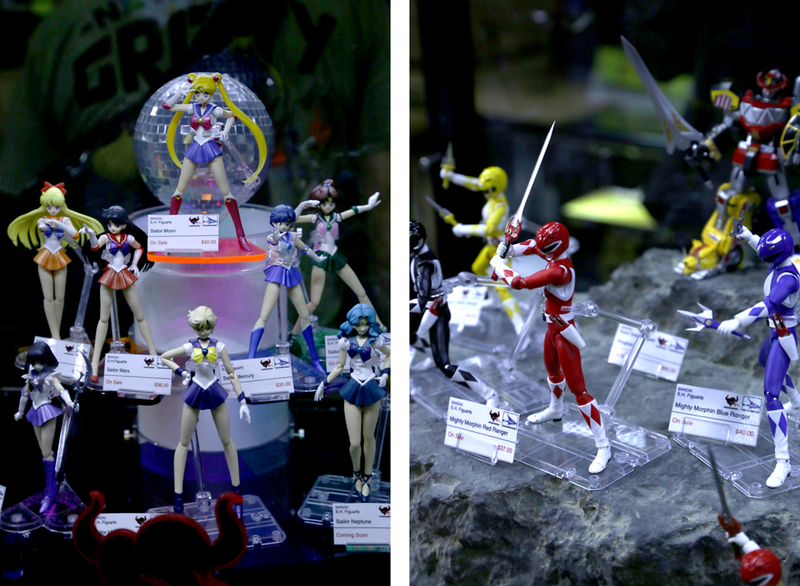 Now that SDCC has finally come to an end, we’ve got a huge amount of photos and coverage to show off, so stay tuned! 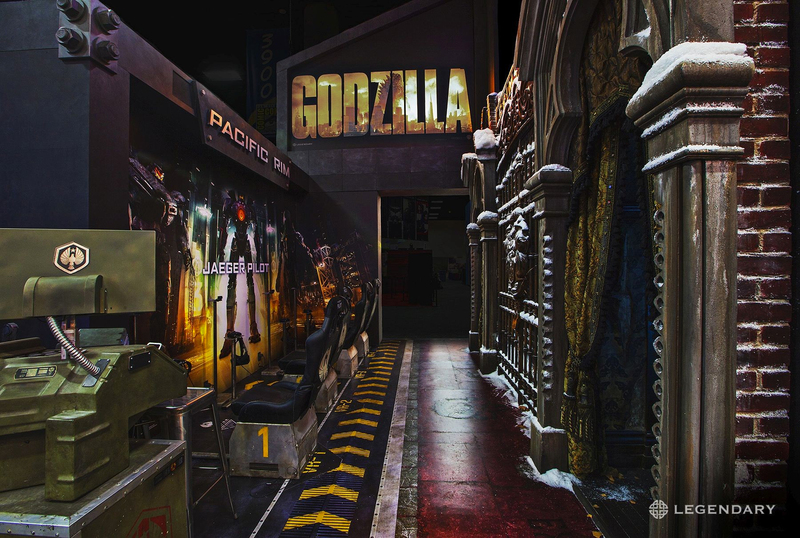 Last year, American-based movie studio Legendary Films wowed audiences at SDCC with the recent release of Pacific Rim, as well a number of exhibits and guided tours to help promote the release of the newest Godzilla film. This year, Legendary brings a number of interactive experiences to the San Diego Comic-Con floor, as well as a couple exciting announcements! One of the most popular attractions at the Legendary exhibit is the Pacific Rim: Jaeger Pilot virtual reality experience. Taking adventure of the same Oculus Rift technology used in the X-Men virtual experience, the Jaeger Pilot attraction allows visitors to step into the cockpit of one of the most iconic Jaegers, Gipsy Danger, as it battles one of the giant kaiju from the film. There are also exhibits for the upcoming horror film, Crimson Peak, which will give fans a glimpse at props, costumes, and more , as well an exhibit for the 2016 Warcraft movie, featuring never-before-seen props and weapons from the highly-anticipated movie. On top of these exhibits, Legendary Films unveiled news about some of their newest upcoming films during their panel on Saturday night. First off, Legendary representatives revealed information about the rumored Godzilla sequel, which is still in the early stages of development. Good news for classic Godzilla kaiju fans is that three of the most iconic Godzilla monsters will be returning for the new movie: moth monster Mothra, massive pterosaur Rodan, and the golden three-headed King Ghidorah! 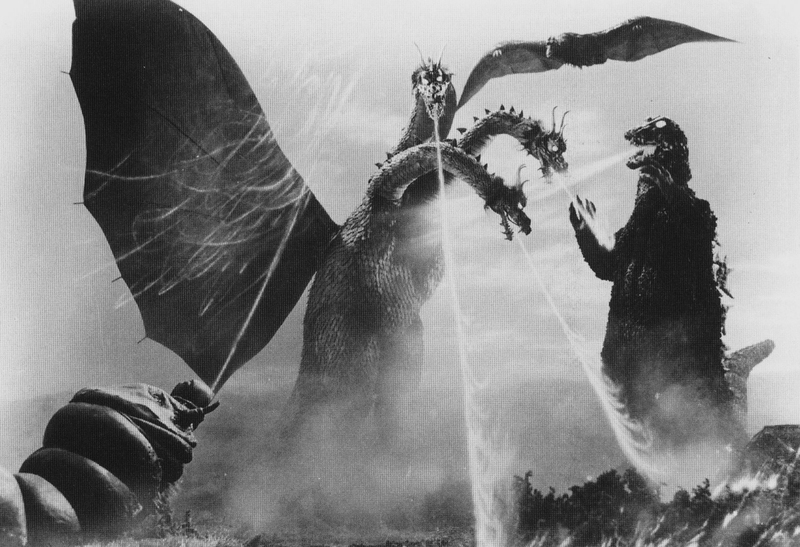 The trio, whom starred alongside Godzilla in the classic 1964 film “Ghidorah, the Three-Headed Monster”, will only be the beginning, as Legendary also added that several other classic monsters will join Godzilla in future installments. 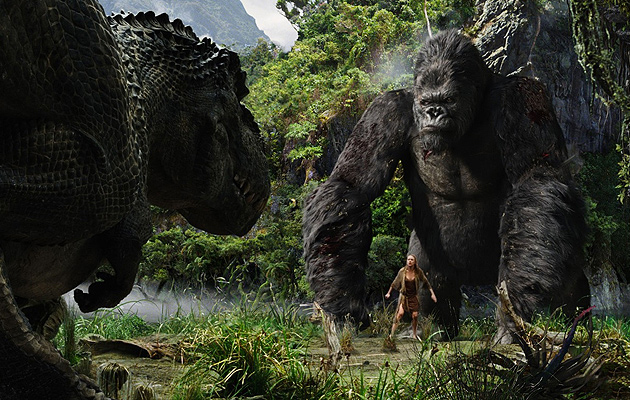 Finally, Legendary revealed a surprise announcement at their panel: a new King Kong movie! Titled “Skull Island”, which is the name where the iconic ape monster was found in the original 1933 film, the movie will be set as a prequel for King Kong, and is scheduled to release in November 2016. With little else known about the movie, Legendary will be releasing more information on the movie and King Kong himself as we draw closer to the 2016 release date. 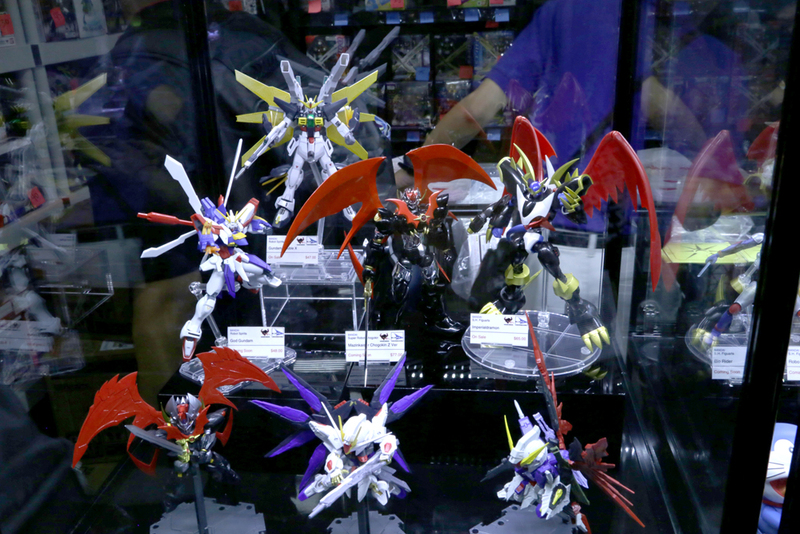 Until then, keep your eyes open for more SDCC reveals and news! Hello Kitty’s 40th anniversary is well underway this year, with a wide variety of events, exclusive releases, and even a new theme park in the United Kingdom. 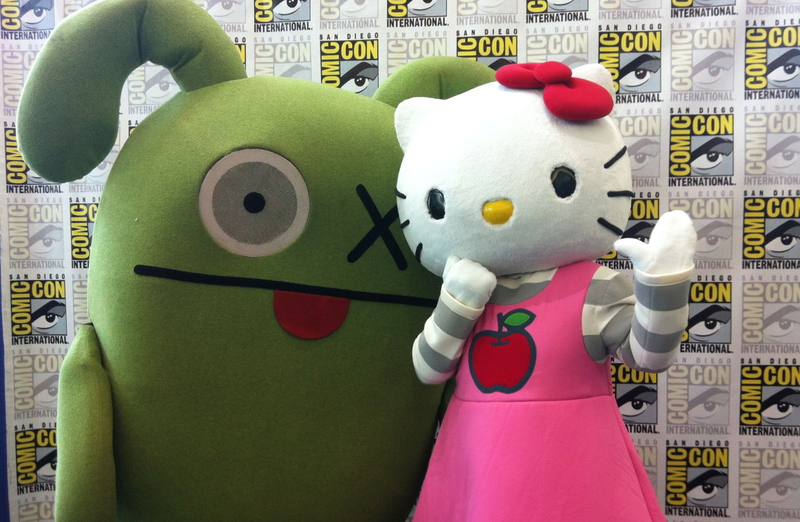 This weekend, Hello Kitty has brought the celebrations to this year’s San Diego Comic Con in a big way. 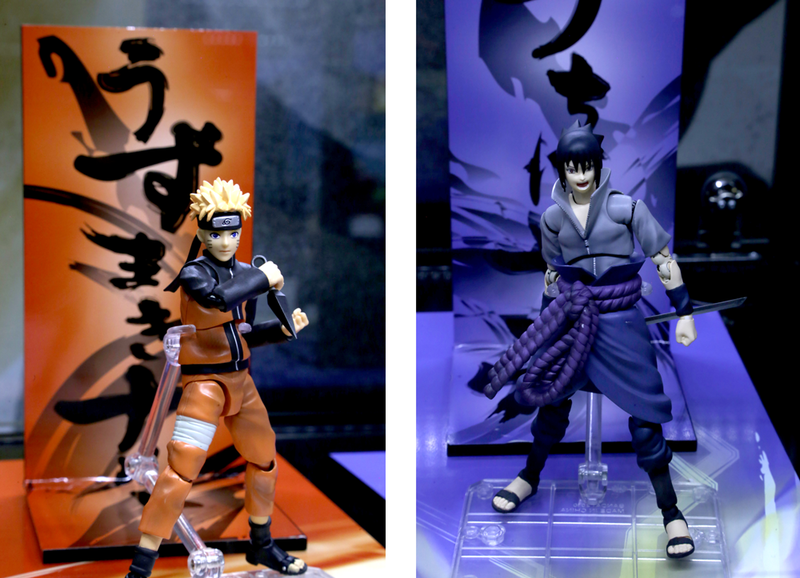 A number of SDCC exclusives were released in commemoration of the event, and off-site activities and events were opened up alongside SDCC. Within the convention center itself, Sanrio-themed exclusives will be available at several booths, and Hello Kitty designer Yuko Yamaguchi will even be present throughout the event to sign autographs and greet fans! Some exclusives available at the event include Toynami’s Chun-Li themed Hello Kitty vinyl toy bank, Upper Deck’s SDCC-exclusive Hello Kitty 40th Anniversary Mini-Figures and Trading Cards, and more. 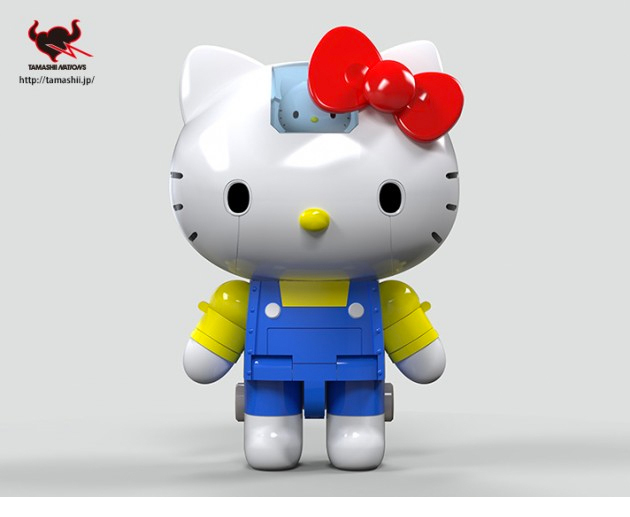 Tamashii-Nation’s Chogokin Hello Kitty robot figure, released this past June, has also made an appearance at the event, showing off its various alternate modes and articulation. 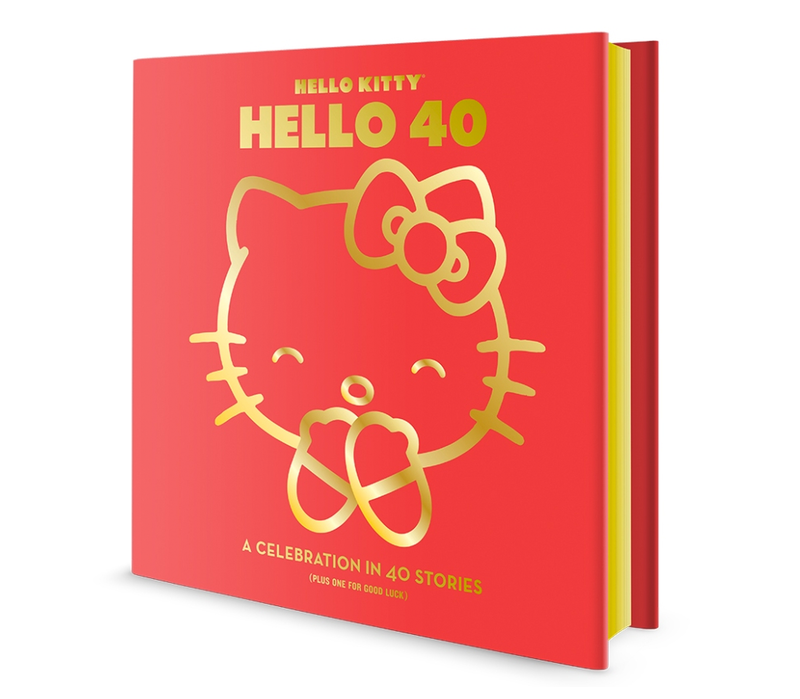 On top of that, VIZ Media has released an SDCC-exclusive early print of their upcoming “Hello Kitty, Hello 40″ tribute book at the event! This new book serves as a celebration of Hello Kitty as a character as well as a cultural icon, and features work done by comic artists, muralists, toy creators, authors, and fans from all over the world! This book, which is set to release in bookstores in October, is making an early debut at this year’s SDCC with an exclusive cover. Limited to only 250 copies, this book is a must-have for any Sanrio fan! 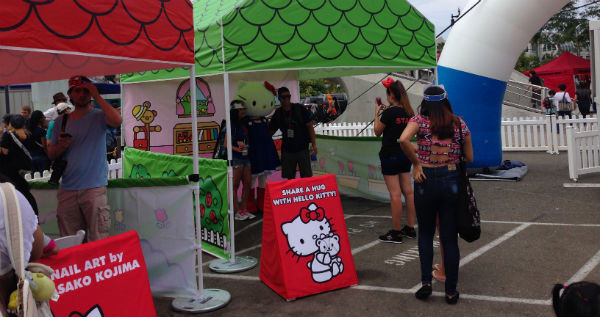 Sanrio has also opened up an offsite exhibit at the Interactive Zone in Petco Park, which is less than a mile from the San Diego Convention Center, where fans can meet Hello Kitty and take photo ops with the character. A number of events and activities will be available at the Interactive Zone as well, including free temporary tattoos and nail art from official Sanrio Tokyo artists. Hello Kitty still has a long way to go before her 40th anniversary is over, with more events like October’s Hello Kitty Con in the near future, so make sure to stay tuned for more news! Toy Story has been one of the most beloved Pixar franchises, receiving a number of movies, sequels, spinoffs, video games, toy releases, and more since the original movie’s debut in 1995. Now, at this year’s San Diego Comic-Con, Toy Story directors unveiled a brand new entry into the Toy Story franchise: a TV holiday special titled “Toy Story That Time Forgot”! Unveiled as an exclusive poster, “Toy Story That Time Forgot” was expended upon at SDCC’s Toy Story panel, where directors and voice actors got to talk about the upcoming special as well as show off short clips. The special will take place after Toy Story 3, where Woody, Buzz, and company, now under ownership of a young girl named Bonnie, meet up with a retro-styled group of toys called the Battlesaurs. 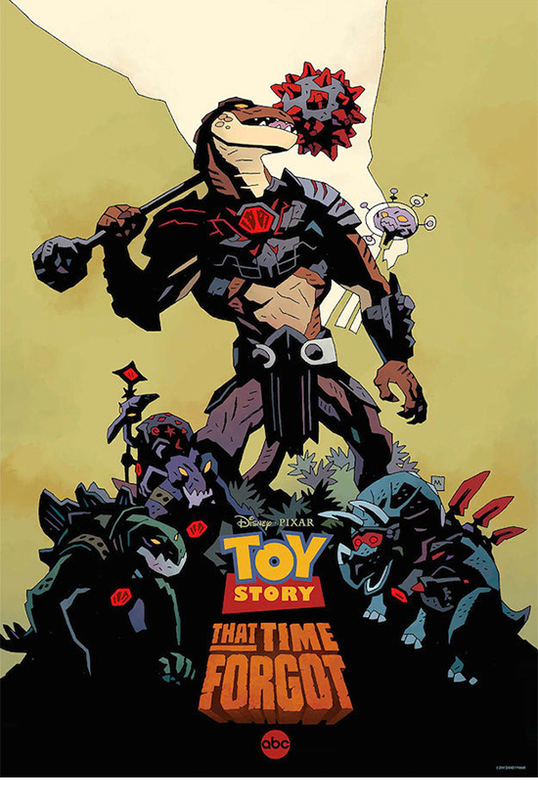 The poster art shows off the Battlesaurs decked out in armor and weaponry, and even shows Toy Story 3’s triceratops toy Trixie sporting a similar battle-ready motif! Trixie is set to have a major role in the special, working as a link between Bonnie’s toys and the Battlesaurs. The special, which will premiere on ABC on December 2nd, 2014, will also serve as the basis for a new line of Toy Story figures and collectibles, including the new Battlesaurs. The Toy Story series, originally released in 1995, is a CGI comedy adventure series in while toys and other children’s playthings come to life. 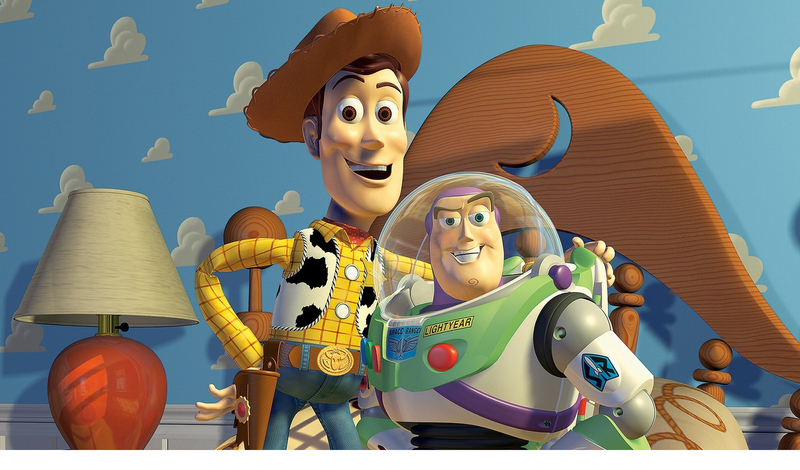 Starring Woody the cowboy and Buzz Lightyear, a futuristic astronaut figure, along with a wide number of other toys and characters, their desire to be played with by children leads them on a number of mischievous adventures and journeys. With Toy Story 2 in 1999 and Toy Story 3 in 2010, a number of spinoffs and shorts have been created to help expand the universe, including the Buzz Lightyear of Star Command TV series, and shorts like Hawaiian Vacation, Partysaurus Rex, Toy Story of TERROR!, and more. With the San Diego Comic-Con opening its doors for avid fans on Wednesday night, big news has already started to come out from the convention center about upcoming releases and titles. To kick off the convention in a big way, Marvel has released a number of posters of their upcoming movie releases: Ant-Man and Avengers: Age of Ultron! 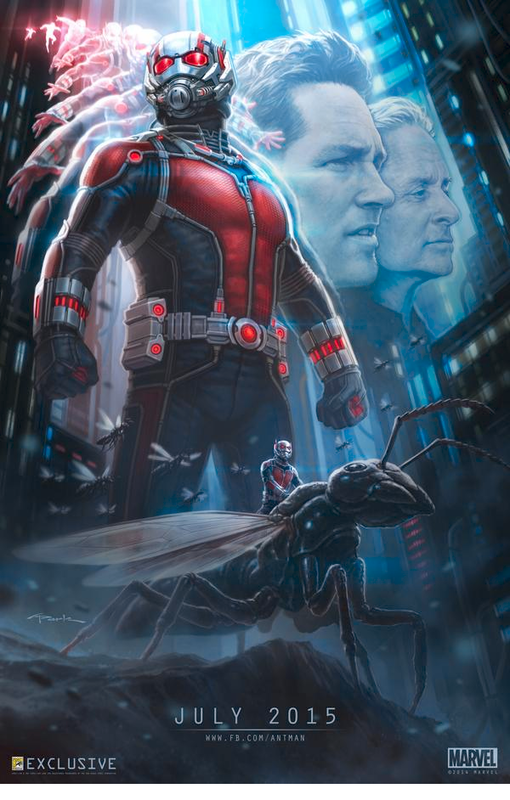 Ant-Man, which has been in development since 2006, will begin filming in August, and concept art of the film’s protagonists has been released as an exclusive poster for SDCC! The movie will star Scott Lang, a master thief who steals a shrinking suit from scientist Hank Pym and uses it to transform into size-changing hero Ant-Man, whose suit also gives him the means to communicate with small creatures. The poster showcases both Lang and Pym, as well as the new design for the Ant-Man suit. 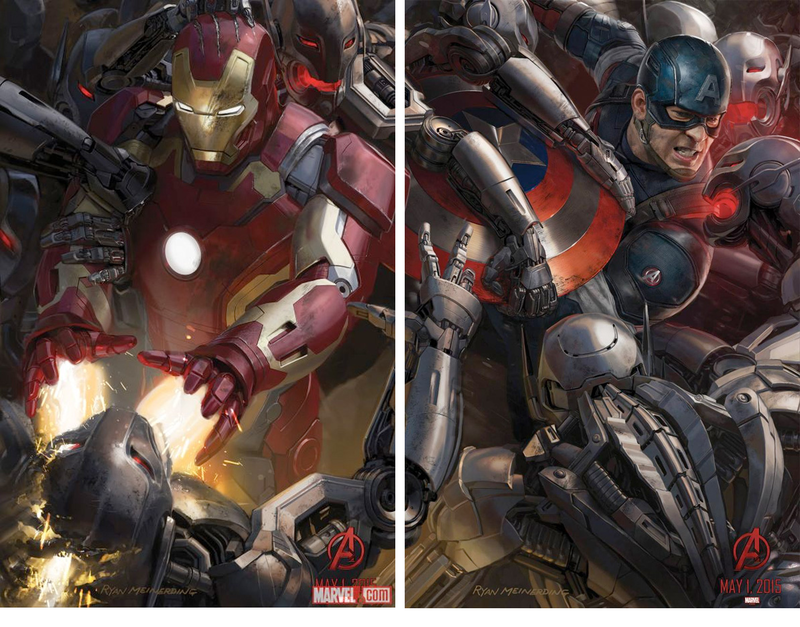 On top of that, Marvel released four posters to promote the upcoming Avengers movie, Age of Ultron! Written as a sequel for the popular 2012 Avengers film, Age of Ultron will feature the return of the Avengers team, including Iron Man, Captain America, Thor, The Hulk, Black Widow, and Hawkeye, as well introduce Quicksilver and the Scarlet Witch to the team. The team will be fighting against Ultron, an AI programmed by Iron man that has gone rogue and plots to destroy the superhero team. 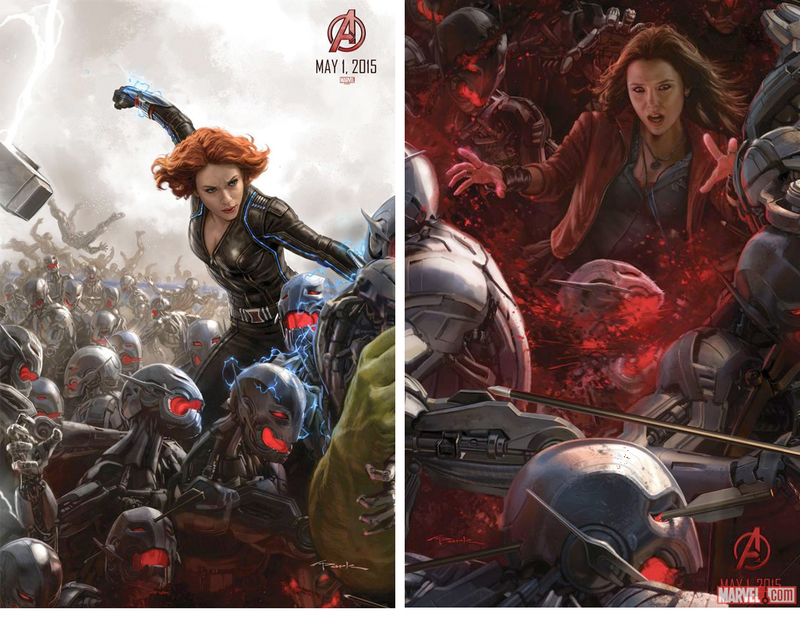 The four new posters Iron Man, Scarlet Witch, Black Widow, and Captain America fighting against an army of Ultron robots, with more posters to come as SDCC move on through the weekend. The posters can even be put together to recreate a giant battle scene! All of these posters will be available for fans to pick up at Marvel’s booth throughout the duration of SDCC. 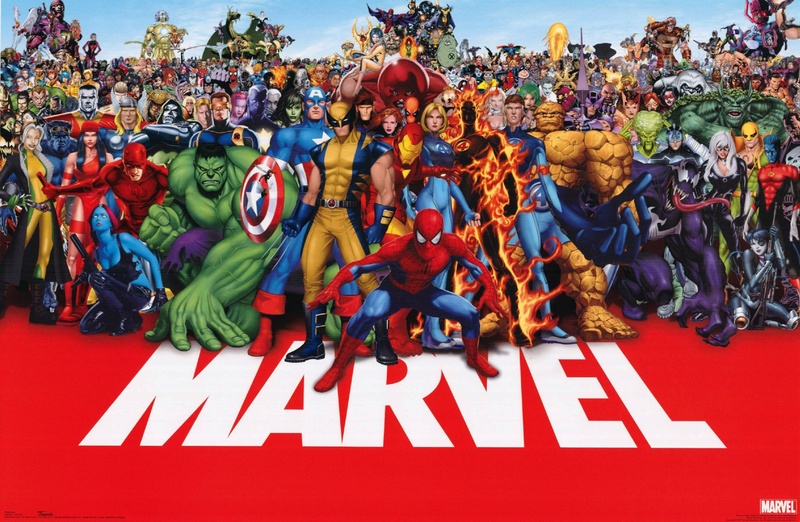 With the Avengers: Age of Ultron movie releasing on May 1, 2015, and Ant-Man scheduled to release in July 2015, it will be a busy summer for many Marvel fans! And with Comic-Con just starting to get underway, make sure to keep your eyes peeled for more news on your favorite franchises, movies, television shows, figure lines, and more! NECA has been producing dolls and action figures of iconic character since 2002, and their showing at this year’s San Diego Comic-Con features a whole new slew of collectibles ranging from recent smash hits to retro-style icons! First up is the Pacific Rim “End Titles” Jaegar 3-pack, featuring three of Pacific Rim’s fan-favorite Jaegar robots! 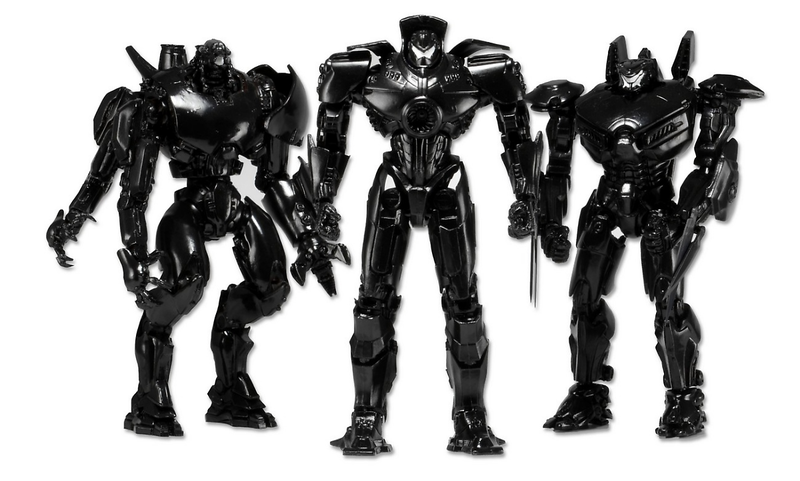 Standing at 7″ tall each, the set comes with Gipsy Danger, Crimson Typhoon, and Striker Eureka, each of which has been repainted in black, high-gloss finishes to recreate their appearances during the end credits of the film. 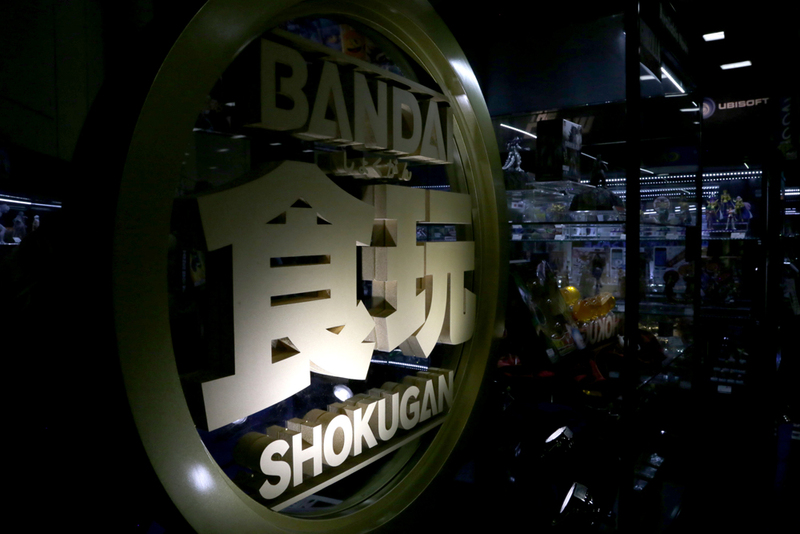 Each Jaegar even has glow-in-the-dark visors, and will come in a collectible window package with foil slipcover. Priced at $60, this collector’s set is limited to 5,000 pieces, making it a must-have for any diehard Pacific Rim fan! NECA has been known to make figures of characters that no one expected, and this year’s SDCC lineup does not disappoint with the new figure of Super Freddy! 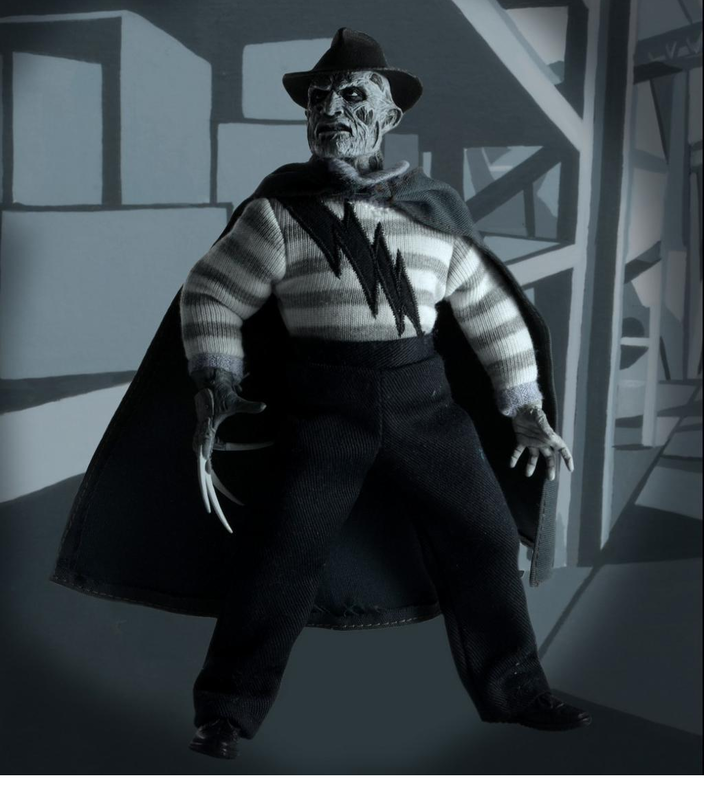 Featured in A Nightmare on Elm Street 5: The Dream Child, this 8″ Super Freddy figure comes in a retro monochromatic color scheme and includes actual cloth for his attire. Super Freddy is limited to 5,000 pieces and retails for $40. 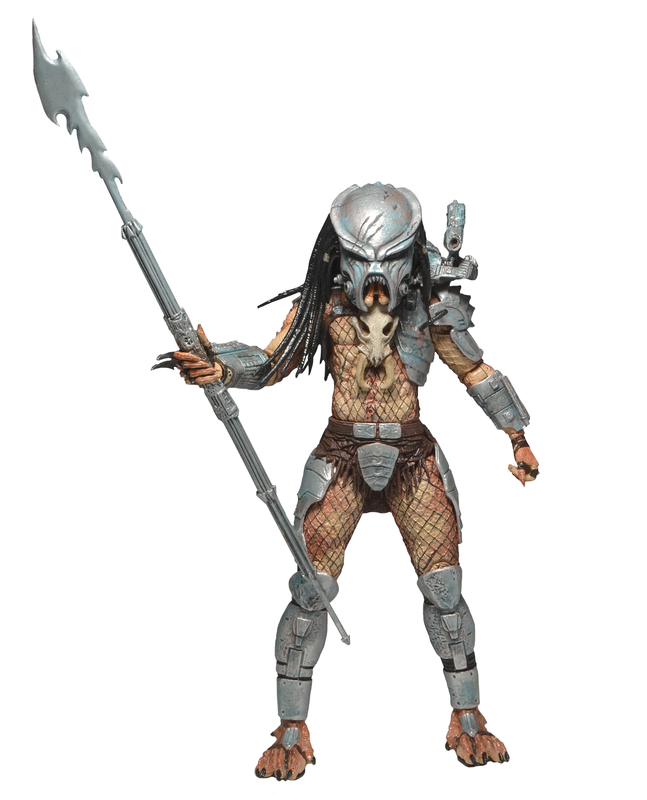 In order to commemorate the new Predator: Fire and Stone comic book series by Dark Horse comics, which begins in October 2014, NECA has also create a limited-edition Ahab Predator action figure! Featuring unique new sculpting and designs that will be featured in the upcoming comic book, Ahab Predator stands at 7″ tall and will retail for $25 in a limited edition release of 5,000 pieces. Also coming to SDCC are exclusive colorways of the Marvel and DC Scalers! 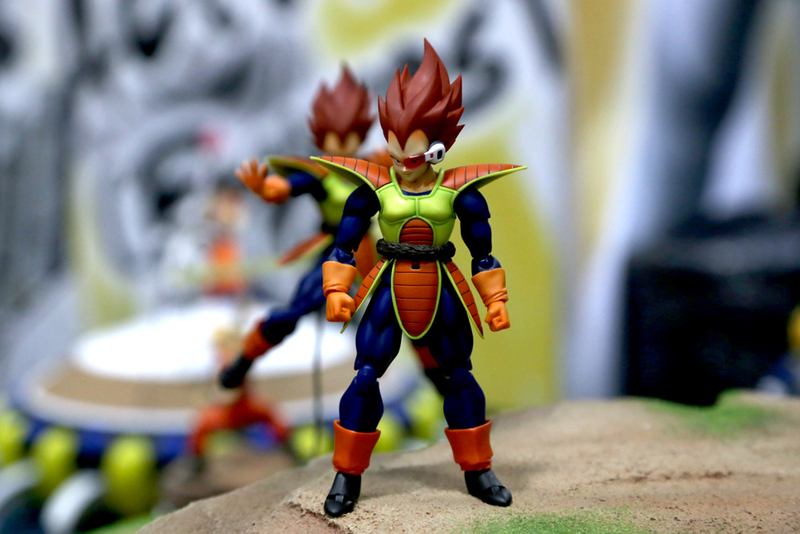 These miniature 2″ figures are designed to grip headphone cords, wires, cables, and more! 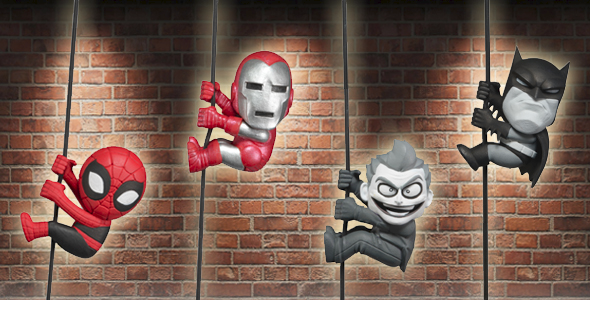 These SDCC exclusive two-pack releases will be priced at $10, and feature previous Scaler releases in new colors: Silver Centurion Iron Man and Marvels Spider-Man, and Monochrome Batman and Joker! Finally, NECA is continuing their retro-styled character releases, following last year’s exclusive NES Jason release, with a variety of new characters announced and on display at the event! The first releases represent character from the popular 1993 videogame “Robot vs Terminator” on the Super Nintendo and Sega Genesis systems! 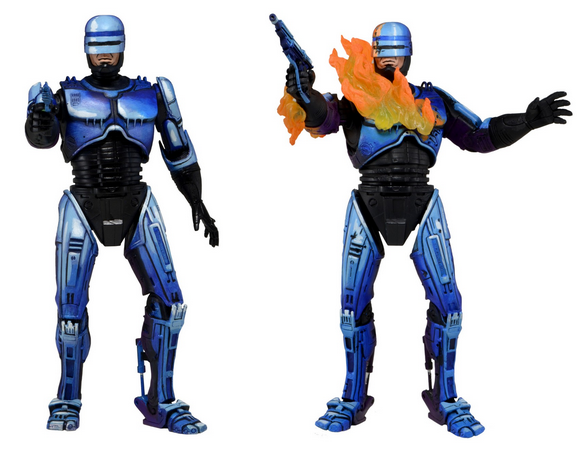 Two 7″ figure sets are planned for release: one featuring the T-800 Terminator and a Terminator Endoskeleton, and the second featuring Robocop in his normal look as well as an on-fire variant! 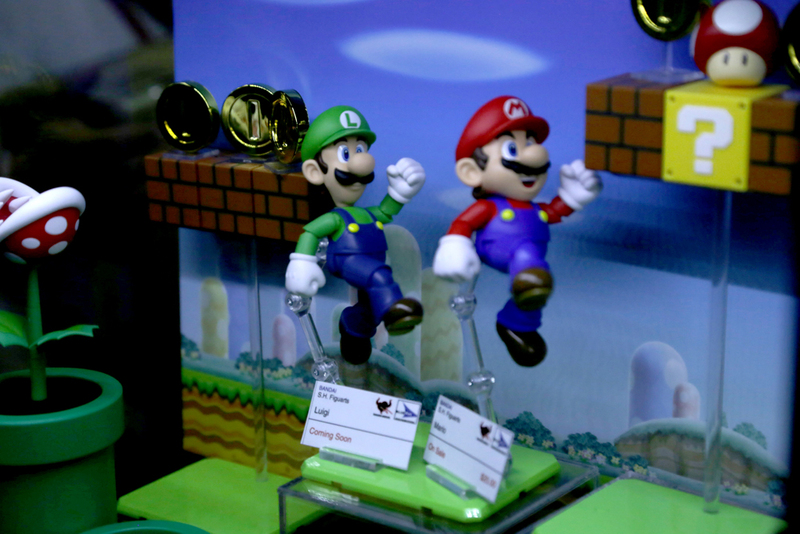 All the figures in both sets will be designed and decorated to match their on-screen appearances from the videogame, and come with their own unique accessories and weapons. NECA has also announced a brand-new 7″ Batman figure, designed and colored off of his appearance in the 1989 NES videogame! 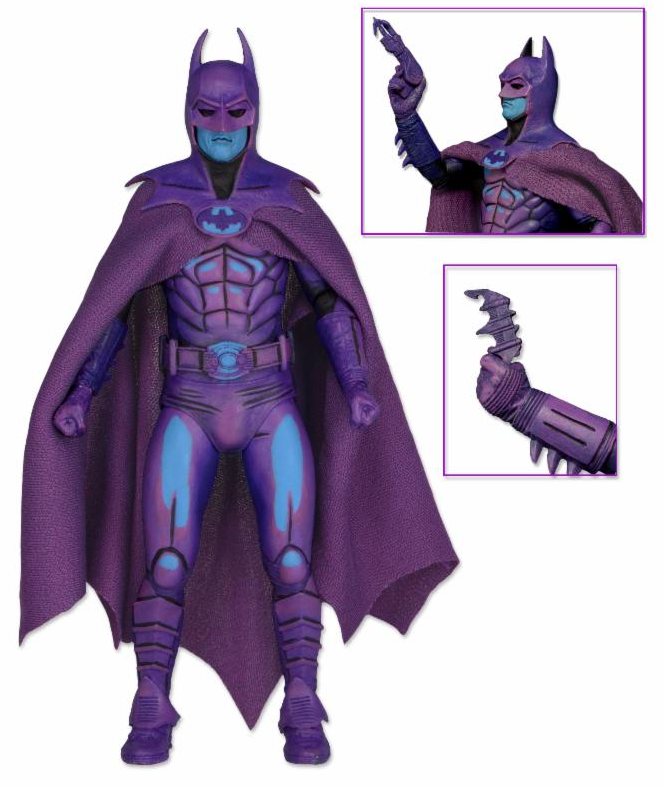 Featuring a cel-shaded design of purple and blue, Batman will feature a removable cape, along with his Batarang and Spear Gun accessories. Unfortunately, none of these retro-colored toys will be available for purchase until October, but fans at NECA’s SDCC booth will be able to get a good look at these cel-shaded classics in person for the first time. NECA’s SDCC celebrations don’t stop there: a flash sale will open on their online website at 6:30 PST on Wednesday, July 23rd, allowing fans from all over the world to pick up their SDCC exclusives from the comfort of their own home! On top of that, NECA will continue to release new information on upcoming toys and releases throughout the event, making their booth a must-see for toy fans everywhere! Jurassic Park, the popular 1990s science-fiction adventure film series based on the novel by Michael Crichton, has been gearing up for a revival with the new upcoming movie, Jurassic World. 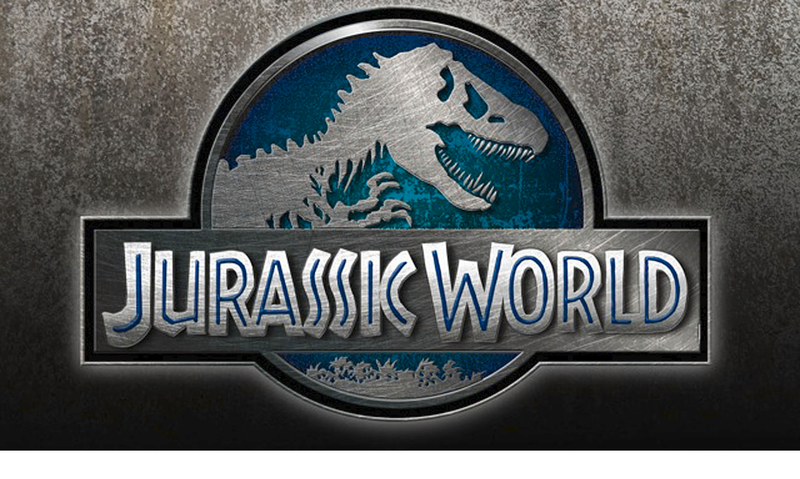 The fourth movie in the series, Jurassic World is scheduled to release in theaters on June 12th, 2015, and Universal Studios is celebrating the upcoming release in a big way at SDCC with the release of the first official Jurassic World poster! 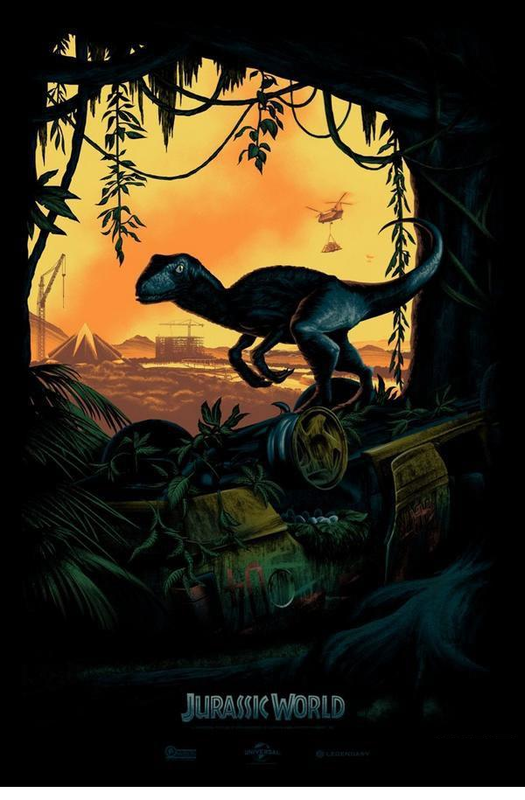 The poster shows off an iconic scene from the original movie, 22 years after the events of the film, and showcases the construction of the new Jurassic World park on Isla Nublar, as well as our first look at the new design for the iconic deinonychus, often mistaken for a velociraptor. The poster, drawn by artist Mark Englert, will be available in short supply at SDCC this weekend, giving visitors a chance to take home some exclusive artwork.